Today we have our last holiday line to share with you (the Christmas in July blog hop starts tomorrow!). 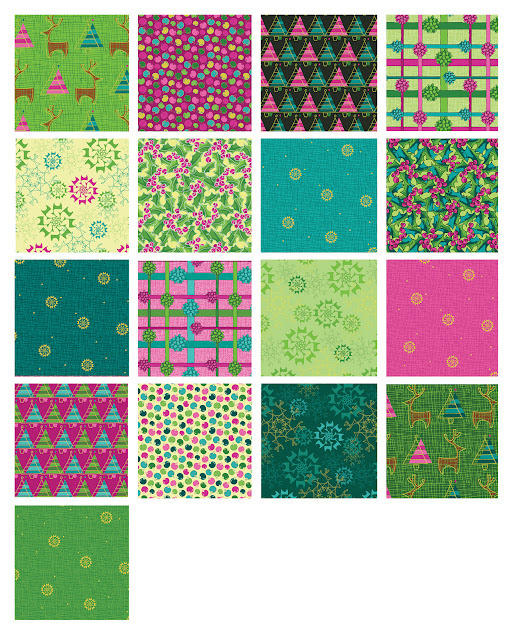 We're going bright and funky, introducing Merry Little Christmas by Holly Helgeson. 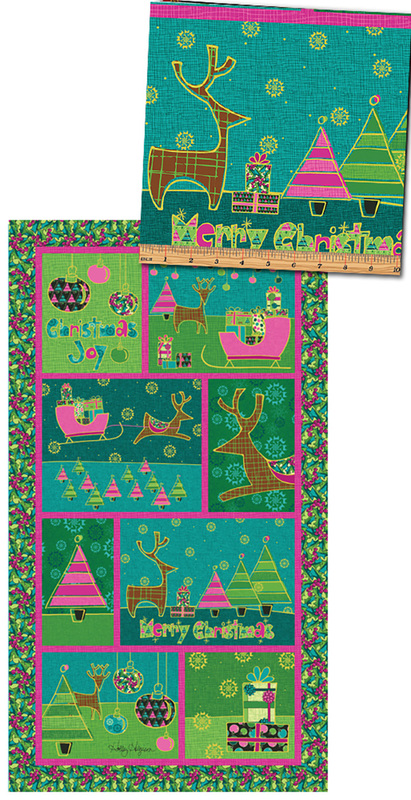 Christmas takes a modern spin with a palette of magenta, citron, lime green, and turquoise! 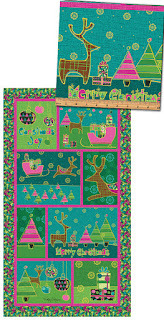 Stylized trees, reindeer and holly are mixed with geometric snowflakes, ribbons and bows, and tossed ornaments. Add a little flair to your holiday spirit with these bold prints! Don't forget the panel! Motifs from the coordinates take center stage in this fun design. Looking for a free quilt pattern? 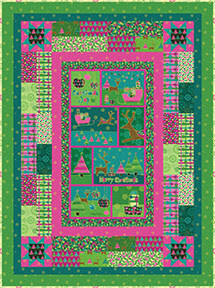 Try "Christmas Windows," which features the panel surrounded by patchwork borders. It's available as a free download on our website. 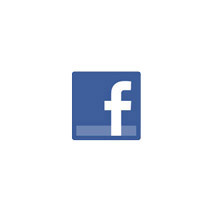 I'm ready to do some hopping on the blogs! Already love turqoise the gem so I love it in the christmas fabric too. Soo bright! Love the nontraditional Christmas colors. These combo caught my eye,they are out my comfort zone.Chrisrmas fabrics.